Inspiring video shot in the beautiful nature of Iceland, this video loop adds an idyllic feel to your video shows. A decorative video background for you to use. 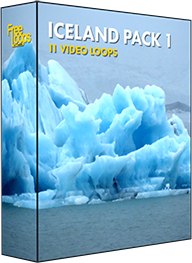 This video loop is part of Iceland Pack 1.